Movies are right below books on my list of favorite things. So, it’s no surprise that as I was thinking about why back cover text is so critical to a book’s success, my mind came up with this cinema simile. A book’s front cover is like a movie poster. It catches your eye, gives an impression of the story, piques your interest. You’ll get the title, and you should be able to guess the genre. But much is left to the imagination. A book’s back cover, on the other hand, is like a movie trailer. You’re introduced to the story, the actors, what the critics are saying. This is when the big sell takes place, where audiences are convinced to buy a ticket … or a book. That’s why it’s absolutely essential for a book to have a great back cover. But where do you start? How long should it be? Should you include an author bio and headshot? What about praise quotes? Good questions all. To help you get a great start, I’ve answered the five questions I get asked the most about back cover writing. Q: Do I need to have an overview of my book on the back cover? A: YES! A summary is an absolute must. Very few people will buy a book without at least some idea of what it’s about. The goal is to snag potential readers’ interest by giving them a snapshot of what’s in the book. For fiction, that means setting the scene, introducing your protagonists, and unveiling the conflict … without giving away too much. (Again, think movie trailer.) For nonfiction, you need to tell the reader what the book will do for them, or what they will learn. One way to do that is to feature three to five bullet points covering your book’s main topics. Remember to keep your description tight—a good rule of thumb is one to two paragraphs for a summary, or 100-150 words. Avoid clichés, like calling your book a “must read.” Leave those review-type comments to the reviewers. Q: Should I feature review quotes? A: Praise quotes and endorsements lend credibility to your book … but only if they come from someone recognizable in your genre or field. No, you don’t need to hunt down J.K. Rowling and ask her to read your new YA fantasy. But you should always ask for praise quotes from someone who is qualified and who carries some clout. An endorsement from a writing teacher or a friend is easy to get but runs the risk of looking unprofessional. So, how do you get in touch with these recognizable names? You network. Start by Googling local novelists or other writers in your field. Talk to other authors you know and see who they got endorsements from. Once you have a list of potential endorsers, start calling and sending emails or Facebook messages. Writers like to support other writers, so you may be surprised by how many you hear back from! Q: Should I include an author bio? A: Author bios look great on back covers, especially if they’re accompanied by a professional headshot. People like putting a face to a name, and if you’ve written other books, it’s a great place to mention them. 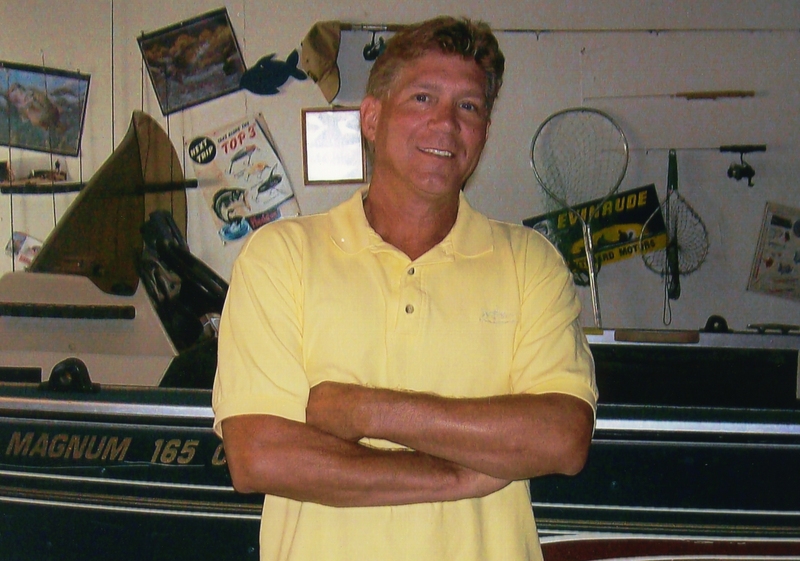 If you’re a nonfiction writer, your bio is also where you establish your credibility. Don’t be shy about listing degrees earned or awards won. Be careful not to turn it into a resume, though. Most authors keep their bios to 50 words or less. Q: Should I feature a quote from the book? A: An impactful quote from the book is an intriguing addition to a back cover. Be sure you pick something that’s short and powerful—something that ties into a central theme or message of the book. Q: Do I need to put ALL of this on my back cover? A: Nope! A summary is essential, but beyond that you need to consider how much space you have to work with. Too much content will overwhelm your reader, so most publishers recommend limiting your total back cover word count to 200. As far as picking what to include in addition to your summary, think about your audience and what is important to them. For nonfiction books, readers will want to know your expertise and background, so an author bio is a good idea. But for fiction, a mysterious quote from the book or an endorsement from a favorite author might be more persuasive. If you’re still not sure what to include, draw inspiration from other books in your genre. Stop by a bookstore or library and spend some time reading back covers. Maybe it’s because I love movies—and movie trailers—so much. But as a writer and an editor, back covers are one of my favorite things to work on. They’re challenging, but they’re also an opportunity to get creative and showcase why your book is special! If you’re interested in getting help with your back cover—or learning about the Write Place’s full range of publishing services—check out our website or email me at sarah@thewriteplace.biz. As you may have heard, the Write Place Book Contest will return in 2018! Every two years, we invite authors across the country to submit their manuscripts to us. Our team of judges reads them and awards one deserving author with free publication of his or her manuscript as a print and e-book. This time around, we’ll be accepting manuscripts from August 1, 2017-December 15, 2017. Even though that winter deadline may seem far away, it’s always a good idea to get a head start on a writing project. So, to help all you authors out there get started on a new book project or polish an existing one, I’ve put together this list of 10 tips for writing a star manuscript. As you write, make sure to put yourself in your readers’ shoes. When you read a book, what hooks your attention and entices you to keep reading? Also, be sure to pick a topic you feel passionately about. As Toni Morrison once said, “If there’s a book that you want to read, but it hasn’t been written yet, then you must write it.” If you love your story, it will shine through and make your writing stronger. 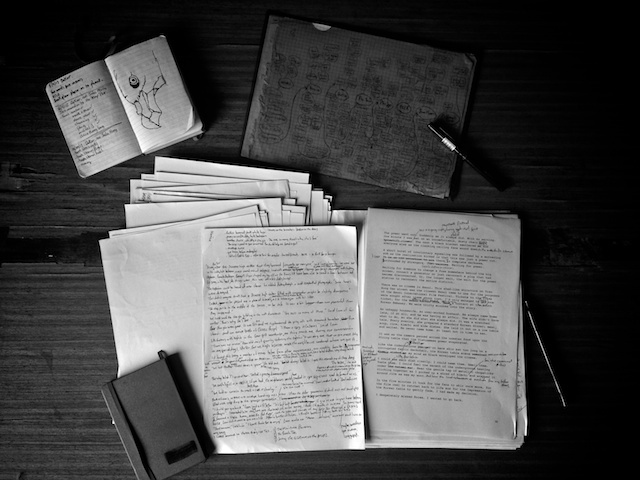 Before you get started, jot down a brief summary of your book. Keep it short, but be sure you cover the central conflict and its resolution. From there, draft a rough outline of events. Along the way, make note of any particular scenes you want to include. When you’re finished, you’ll have a timeline of events to use as a roadmap for your manuscript. Whether you’re reviewing a complete manuscript or drafting a new one, creating a detailed character list or family tree will help you keep track of who’s who in your story. Be sure to include details like character ages, physical descriptions, relationships, and name spellings. These details are easy to forget or accidentally change. Having a character guide handy will help you guard against those mistakes. To keep track of the places your characters visit, sketch out a map of your setting. You’ll get a clearer picture of the world you’ve created, plus you may end up catching errors or inconsistencies. One of the best ways to stay on track while writing a book is to set a regular writing routine. What time of day do you feel most inspired? Are you a pen-and-paper author, or do you prefer your laptop? What about location? Do you like writing at home, at coffee shops, at the library? Once you’ve nailed down those details, commit to blocking out a certain amount of time each day or week to devote to your project and stick to it! Feedback is a crucial part of the writing process, and local writing groups are a great way to test your book and get live reader feedback. They’re also a great source of inspiration, motivation, and accountability. There are writing groups all across the country. Do a little Google research today to find the one nearest you! Every author experiences writers’ block, so don’t get discouraged if you find yourself in a slump! Try stepping away from your book for a day or two. Sometimes the best ideas come when you’re doing something other than writing. If that doesn’t work, try talking out the problem with friends, family members, or fellow writers who are familiar with your book. They might just have the key to unlocking the next chapter. And the absolute best thing about writers’ block? It always passes! When working on a new manuscript, it can be very tempting to go back and “fix” what you’ve already written. Resist! This will stall your progress and keep you from meeting your deadline. If your inner editor had its way, you would spend hours and hours rewriting what you’ve already done rather than advancing your story. Remember: your job is to write a finished manuscript. So don’t worry about tweaking your prose or perfecting your dialogue just yet! (That’s what second drafts are for.) Instead, focus on telling the story from beginning to end. Once you’ve done that, feel free to set that inner editor loose! William Faulkner once said, “Read, read, read . . . Just like a carpenter who works as an apprentice and studies the master. Read! You’ll absorb it. Then write.” Sometimes, other authors are the best source of inspiration. Get your hands on as many books as you can. Immerse yourself in the genre you’ve chosen to write. Study the conventions of the genre and think about them critically. Discover what you like and dislike. You’ll be a stronger writer for it. Writing a book is a journey—one that is, admittedly, full of ups and downs. But in the end, there’s no feeling in the world like the sense of accomplishment and pride that comes with putting down your pen or hitting “Save” for the final time. So as you write, make sure you take some time to step back and enjoy the ride! Feeling inspired? I hope so! 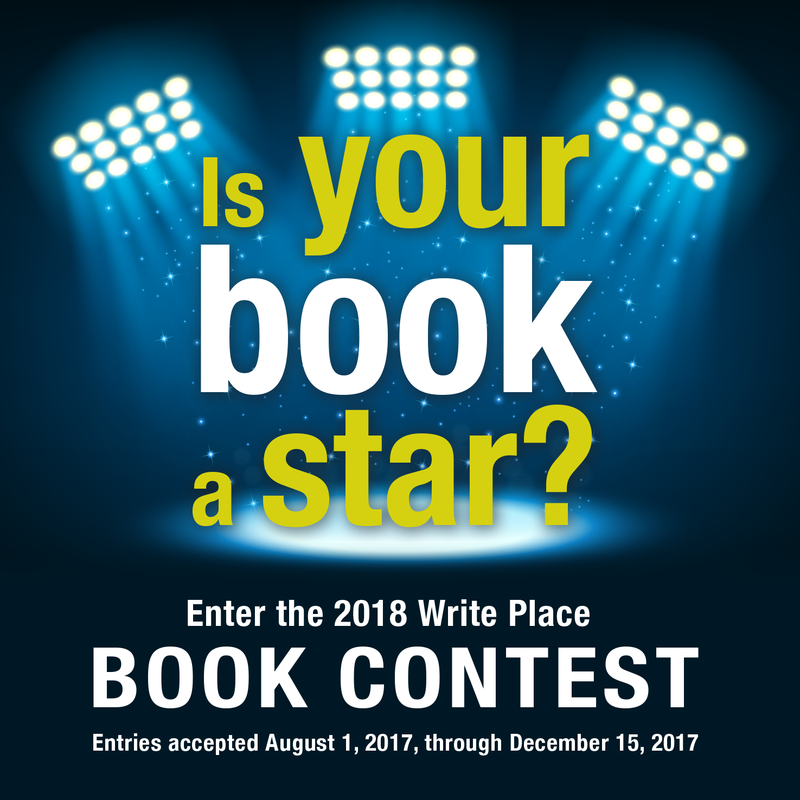 Remember, the Write Place will begin accepting entries for the 2018 Book Contest on August 1. If you have any questions about the contest, please visit our website or email bookcontest@thewriteplace.biz. Most authors ask two questions at the start of every new project: How do I go about writing this book? and Will anyone read it? These questions become even more daunting when you have a gut feeling your book is going to be . . . long. Suddenly, you have to worry about organizing tens if not hundreds of thousands of words into a coherent whole without getting overwhelmed. You need to keep your characters, settings, and timeline of events straight. And, somehow, you need to stay steady and motivated through it all. It’s not easy, but it can be done! If you’ve got an idea for a long book, I’ve put together a few tips on getting started, staying motivated, and seeing your project through from page one to the end. One of the trickiest things about writing a long book is making a clear game plan. Before diving in to Chapter One, you need to prepare by making sure you have a thorough understanding of the who, what, when, where, why, and how of the story you’re telling. Start by writing a brief summary of your book’s premise. Keep it short, maybe four or five sentences, but be sure you cover the inciting incident of the story, its central conflict, and its resolution. From there, draft a rough outline of events that will carry you from that inciting incident (Point A) all the way to the conclusion (Point B). Along the way, make note of any particular scenes you want to include. When you’re finished, you’ll have a timeline of events to use as a roadmap for your manuscript. If your story includes a large cast of characters, you may also want to create a detailed character list or family tree to help keep track of them. Sketching out a map of your setting can also be helpful, especially if your story is geographically complex. Once these tools are in place, you’re ready to start drafting! One of the best ways to stay on track during any writing project is to set a regular writing routine that complements you and works with your schedule. Are your creative vibes strongest in the morning, the afternoon, or the evening? Do you like writing at home, or are you more of a wanderer? Do you prefer a laptop or pen and paper? How much time can you commit to writing each day? Once you find the writing niche that enlivens your creative spirit, commit to blocking out a certain amount of time each day or week to your project. You’ll be amazed at how much progress you make, no matter the length of the book. At the start of a writing project, it can be very tempting to think, Oh sure, I bet I can write three, four, maybe even five chapters a day! When you’re excited, your project is new, and your motivation is at its peak, it’s easy to imagine sitting down and whipping out your manuscript in record time. Yet, the painful reality is that at some point, especially if you’re tackling a long and complicated subject, you will experience writer’s block. There will be days when you sit down at your desk and stare at a blank screen or page without a clue of where to go next. The important thing to remember is that all writers experience slumps like this, and they do pass eventually. There will also be days when, no matter how hard you try to sit down and follow your writing schedule, life gets in the way. Don’t let frustration set in—life happens! If you aren’t able to return to your regular schedule after things settle down, work to find a new writing schedule that fits.. The moral of the story is that while goals are great for keeping you motivated and productive, they must be realistic and achievable. There’s nothing more discouraging than consistently missing your goal. So don’t beat yourself up if you do happen to fall short; instead, concentrate on the progress that you did make. And, pat yourself on the back and celebrate the days when you exceed your goal! When it comes to writing, two, three, four, or five heads are almost always better than one. One thoughtful comment can break through writer’s block or spark the key idea you’ve been searching for to complete your book. Sometimes, we can get this feedback from close friends or family members, but local writing groups are another great resource for testing your book and getting authentic feedback. Writing groups are also a great source of inspiration and motivation. Your fellow members will help keep you accountable to your writing goals and provide moral support when you find yourself in a writing rut. There are writing groups all across the country; do a little research today to find the one nearest you! When your manuscript has made it through this gauntlet, partnering with an editor is often the next step toward publication. A good editor will offer a fresh perspective and can catch the little details that you, as the creative engine behind the project, may not have been in the right frame of mind to catch. At the Write Place, we offer several levels of editing to fit each author’s budget and preferences. Writing a book is hard; at times it can seem almost impossible task, especially when you find yourself writing a particularly long book. However, in spite of the challenges, it can also be a rich and rewarding experience. So don’t be afraid to become the author of a 500+- page book! With planning, determination, and support from friends, family, and fellow writers, you can make it happen. 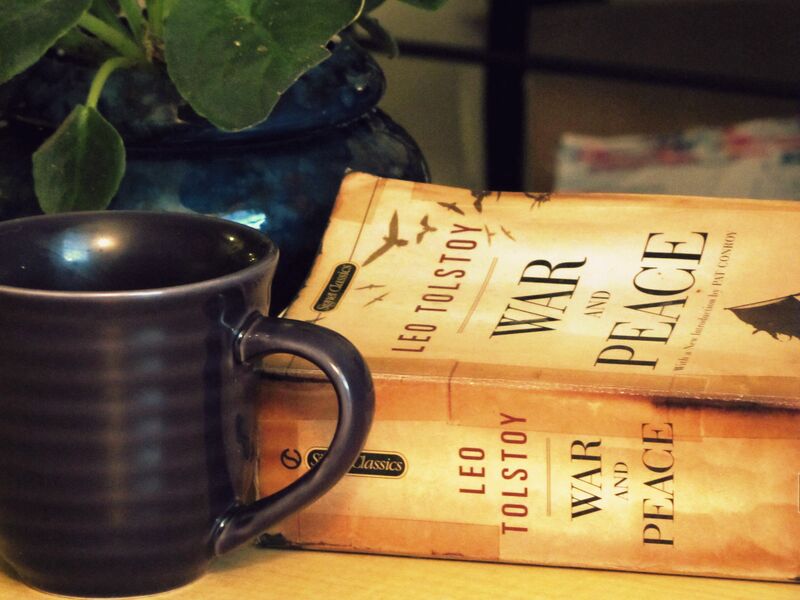 Tolstoy’s War & Peace is 1,296 pages long, weighs over 3 pounds, and contains 587,287 words. Okay, maybe I made up the term “megalobibliophobia.” But the fear of reading large books is very real! Take for example those “big books” sitting on your shelves at home. You know the ones I’m talking about: 500-plus pages, impressive-looking covers, never-been-cracked spines. In my library, that book is War & Peace. I have every intention of reading it . . . someday. This will be the year, I always promise. And yet there it sits—all 1,296 pages of it—unread. There’s just something very intimidating about a hefty book. You worry that it’ll take you weeks, months, maybe even a full year to get through it. What if you get bored? What if you don’t understand what’s going on? What if you reach page 700 and forget what happened 300 pages ago? What if your eye begins to wander to the other, shorter books on your shelves? Is all this work even worth your time? Well, despite my reluctance to take on Tolstoy’s masterpiece, there’s a reason that David Copperfield by Charles Dickens (768 pages) and The Name of the Wind and The Wise Man’s Fear by Patrick Rothfuss (respectively weighing in at 736 and 1,321 pages) hold places of honor on my bookshelf. Daunting as they looked at first glance, these books drew me into their worlds as I read page after page after page. I spent so much time with them that they feel more like dear friends than massive piles of paper, ink, and glue. So, if there’s a big book in your life you feel intimidated by but you have a sneaking suspicion might be worth the effort, here are a few tips for getting started and staying motivated to read! Blocking out 20-30 minutes of reading time a day or setting manageable goals like reading a certain number of pages a week is a great way to tackle a hefty book. I first tried this technique with David Copperfield by setting a goal of reading 100 pages per week. By following that schedule, I knew I could make it to the finish line in less than two months, which was a great motivator. Sticking to it felt a little bit like a chore at first, but by the second or third week I was so engrossed in the story that I exceeded my weekly goal on a few occasions. If the visual part of reading a long book is putting you off, try using an e-reader. It’s portable, and it takes away the temptation to count exactly how many pages you have to go. Some e-readers even give you the option of turning off the page counter. If the plot of your book is complex and you worry about losing track of characters or important plot points, try making a character list, family tree, or timeline as you read. These tools can help you keep the who, what, when, where, and why of your book straight. If that sounds too much like homework, try searching online. Sites like SparkNotes can be a great resource for character lists and chapter summaries. If it’s a long book, I guarantee that somebody, somewhere has published a reader’s guide online. Is there someone you know who’s interested in reading the same book? Or perhaps several someones? Creating your own book club is a great way to stay motivated and engaged in reading a long book. You can set goals together and discuss the plot, characters, and what you think is going to happen next. Plus, book club meetings are a great excuse to grab a coffee with your friends! This tip can be dangerous, but if you’re really struggling with a book, try taking a break to read something else. A short break can refresh your brain and renew your motivation. Just be sure to make a commitment to come back to your big book by a certain date if you are truly committed to finishing it. Reading a long book can certainly be an adventure. There may be times when you can’t put it down, and there may be times when you feel tempted to give it up altogether. But no matter what happens on the journey, there is no denying the sense of accomplishment that you’ll feel when you finally reach THE END. Do you have a big book we should make sure we add to our reading lists? Want to know our team’s favorite big books? Head to our Facebook page! P.S. As I was writing this blog post, I realized that a lot of the fears that go along with reading a big book also apply to writing a big book. So, stay tuned for “Megalobibliophobia, Part II (the fear of writing big books)”! “War and Peace” – Sarah Elizabeth Altendorf, July 7, 2011, http://www.flickr.com/photos/46732441@N06/5917704508, via http://photopin.com, https://creativecommons.org/licenses/by-nc/2.0/, accessed January 9, 2017. 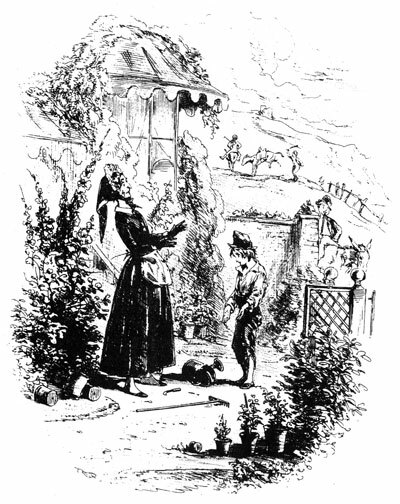 “I make myself known to my Aunt” – Hablot Knight Browne, 1849, http://charlesdickenspage.com/illustrations-david_copperfield.html, accessed January 9, 2017.